Tasty seasonal menu, cheeses, charcuterie, extensive wine list and local beer in this small and friendly hot spot, now located in the Fan. This popular wine-tasting hot spot will appeal to vino novice and enthusiast alike, at prices that encourage experimentation. 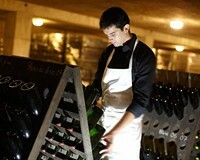 You’ll find select European reds, sparklings from $5-$15, Spanish sherries, craft cocktails and more. 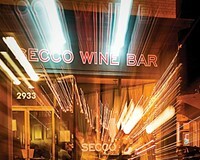 A well-known French winemaker celebrates at Secco.